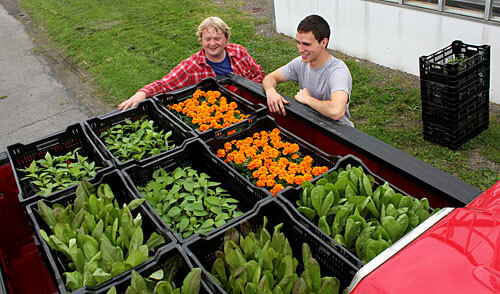 Assistant professor Neil Mattson and technician Tim Putzke load vegetable transplants bound for Tompkins Community Action (TCA). Mattson grew nearly 5,000 transplants to be distributed through TCA to 100 low-income households, many of whom will be partnered with garden mentors to be sure that their gardening experience will be a success. Cornell University faculty, staff and Cornell Cooperative Extension (CCE) educators recently formed a new Program Work Team (PWT) to develop and disseminate information on how climate change will affect New York State. Collectively, the Climate Change PWT members will be developing research-based materials describing how climate change will affect New York’s communities and resources, and how individuals, communities, and stakeholders can both mitigate their impacts on the climate and adapt to the climate changes that will continue to occur. More information is available via our website (http://www.climatechange.cornell.edu) and we will continually update and add new resources to that site. The PWT will be communicating with stakeholders via a Cornell email listserve, and organizing several meetings and training opportunities per year. Please let us know if you would like to be involved with the PWT, would like more information, or have suggestions on information needs of groups you work with. We can be reached by emailing Dave Wolfe (dww5@cornell.edu) and Allison Chatrchyan (amc256@cornell.edu). 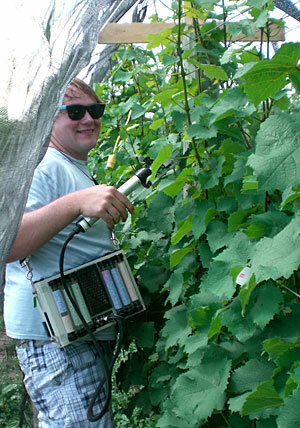 David Bower measuring grapevine photosynthesis with a CIRAS-1 portable photosynthesis system. Fifth in a series of profiles celebrating the Class of 2011. I was always interested in plants. As an Eagle Scout project, I renovated the landscaping at the Ronald McDonald House in Rochester. And I helped my father convert an apple orchard and cider mill into a vineyard and winery, planting 40 acres of vines by hand and producing our first wines in 2006. (Mayers Lake Ontario Winery.) I knew Cornell was good in Plant Sciences and had started a Viticulture and Enology major, so it was a good match. And if I decided to go the pre-med route I could do that too. What was the best part of your Cornell education? Cornell gave me chance to do my own research and get involved as a teaching assistant for four of the viticulture and enology courses. I did wine chemistry research with Kathy Arnink, vine stress physiology research on Riesling and methoxypyrazine research on Cabernet Franc with Alan Lakso. I also worked with Kathy, Ian Merwin and other students to plan and plant Cornell’s first organic vineyard at Cornell Orchards. Some of this research was the first of its kind in my field. This was great for me because of my commitment to research and teaching, and most importantly giving back to field. What Cornell-related scholarships did you receive? The Nelson J. Shaulis Award for the Advancement of Viticulture supported my research with Alan. Who or what influenced your Cornell education the most? All of the faculty I did research with, especially Kathy. She really took my under her wing and was a great role model. Much of what she instilled in me as a young student has transferred to the present day mostly in the form of my love for research and my commitment to the students and to Viticulture and Enology. Peter Cousins is a great teacher, role model and friend. He spent many hours working with me in a hands-on way to learn the aspects of modern viticulture and basic grape genetics and physiology. 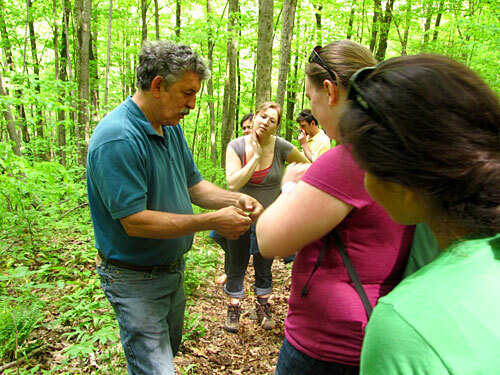 I really liked the hands-on nature of my education here. I was one of the first students to experience all of the aspects of the Cornell Viticulture and Enology program. I was able to develop my own research projects, grow and plant grapevines, harvest the grapes, and conduct experimental winemaking trials based on my own program. I analyzed the wines chemically and physically, and was able to conduct my own research panel from this and teach about my research to a large introductory class as a Teaching Assistant. I could not ask for much more! What were your main extracurricular activities at Cornell? I worked as an Orientation Leader and an Orientation Supervisor for New Student Orientation. I spent many hours working with students even after Orientation ended, sharing experiences and helping them through their day-to-day problems. I still keep in touch with many of my students. New-student Orientation took tons of time but it was great for me to be able to share my love for Cornell with all of the new students. I was also a Social Programming Director in Willard Straight Hall, planning dances, concerts, and weekly events that were attended by many students. I worked for Colleges against Cancer on the programming board, using my time to implement two Relays for Life. I was the Social Programming Director for my fraternity in which I implemented a program in conjunction with the Ithaca Youth Bureau that has raised over $6,000 to date. And in 2009 I started a company called in2ition music with my friend Kai Keane. We create videos and musical interpretations of electronic music for events all around campus and Cornell. Recently, we developed a show for the Johnson Art Museum’s recent gallery opening. You can find us at www.facebook.com/in2itionmusic. 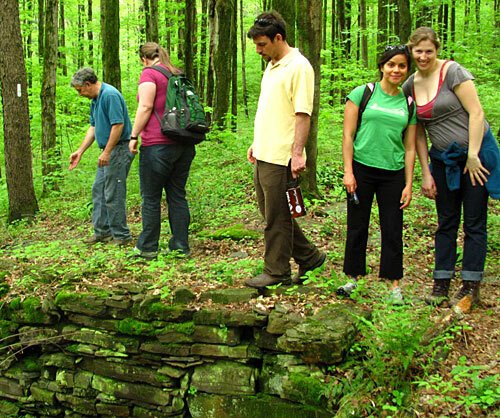 What was one of your greatest challenges at Cornell? The coursework. It was difficult but rewarding. Also, balancing everything together to make sure I took care of all of my responsibilities. I applied to grad schools and eventually want to get a Ph.D. because I’m driven to teach. But first I want to get a job, possibly in Extension, where I can help better the industry and give back to growers. Please note that the venue for diploma distribution at 12:30 has changed from Minns Garden to Plant Science 233. We’ll have signs, make an announcement at breakfast, etc., but the more places we point it out, the better. Cost: $55/person if paid by July 26. $65 after July 26 and at the door. Includes proceedings, lunch (and parking permit for prepaid registrants). July 13, 8 a.m. to 11:30 a.m. Please pre-register by July 11. NYSABA Summer Barbeque and field crop weed control program at Musgrave Farm in Aurora, N.Y. the afternoon of July 13. More information and registration form. 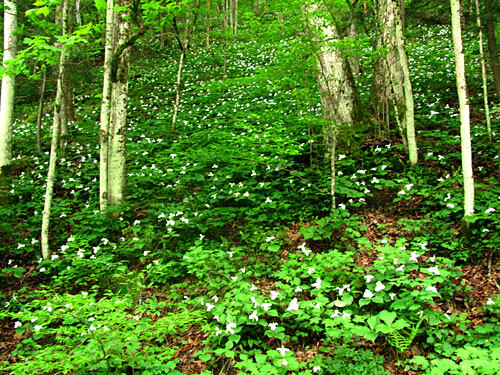 Cool wet conditions, coupled with the presence of the disease led to a quick and devastating spread of the disease in 2009. This season, late blight has already been detected at three sites in Michigan, Connecticut and Maine. Gardeners and growers need to be on full alert to detect the disease early. Be sure to scout greenhouse and high tunnel tomatoes and early potatoes. 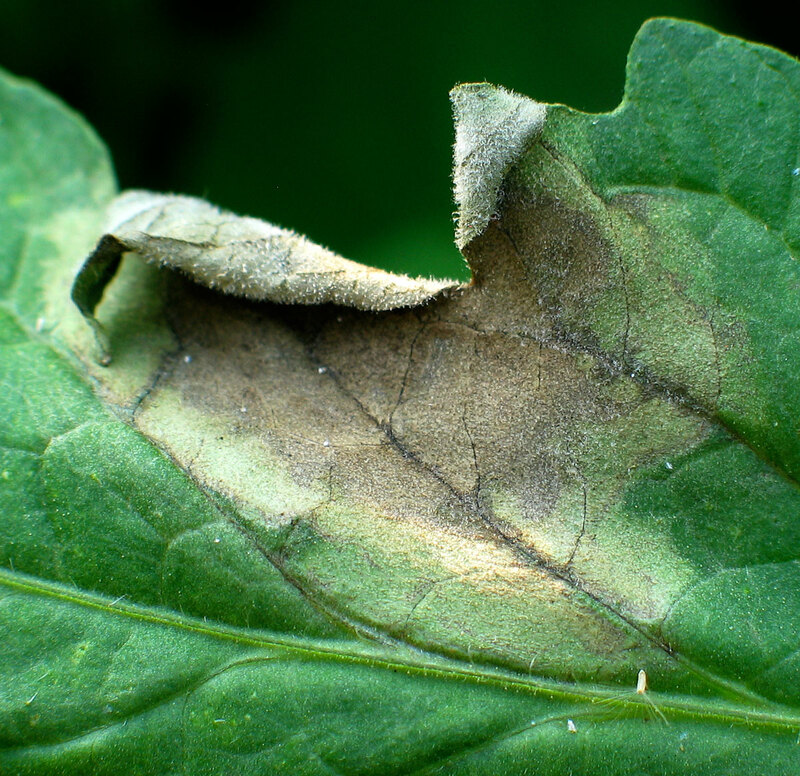 If you think you may have late blight, contact your local Extension educator. Knowing where late blight has been found is critical for making the best management decisions. A new national website USAblight is mapping reported outbreaks online. (Reports will not pinpoint your farm or garden, just the county.) View disease occurrence map. Late blight photos – Meg McGrath’s photo gallery of late blight on tomatoes. See also her potato images and late blight imitators (diseases that might be mistaken for late blight). You’ll also find links to McGrath’s many factsheets, reports and other late blight resources. Late blight alert – Provides updates on where late blight has been found in New York and contiguous states and Canadian provinces. Great round-up of links to late blight information for gardeners and farmers. Late Blight of Potatoes and Tomatoes – From Cornell’s Vegetable MD Online website. Buy healthy tomato plants. Learn what late blight looks like. If you spot any infected plants while shopping, alert store management and your local Cooperative Extension office, and buy your plants somewhere else. Or you can grow your own plants. (Late blight isn’t spread on tomato seeds.) Start seed about 6 to 8 weeks before your last frost date. Be vigilant. Inspect plants at least once a week – more often if weather is cool and wet. Immediately remove and bag foliage you suspect might be infected. While late blight symptoms are distinctive – dark brown lesions on stems and leaves with white fungal-like growth developing under moist conditions – it’s possible to confuse it with other diseases. Your local Cooperative Extension office can help you with identification. Mark your calendar for these two events at the Homer C. Thompson Vegetable Research Farm, 133 Fall Creek Rd, Freeville, N.Y. View map. Thursday, June 23 – 4 p.m. to 6 p.m.
Tour plots of organic potatoes and lettuce, with special attention to buckwheat “insectary” plantings next to the potatoes. Learn to identify beneficial insect species and how to encourage and monitor them. See how different organic soil fertility regimes influence crop growth and quality. Thursday, August 4 – 4 p.m. to 7 p.m.
Organic variety trials for six vegetable crops that have been bred for late blight, downy mildew, and cucumber beetle resistance. Soil health impact of cover crops (buckwheat and sudangrass). Questions? Contact Betsy Leonard bai1@cornell.edu.